Delhi Daredevils broke their five-match losing streak in style on Tuesday with a six-wicket win against defending champions Sunrisers Hyderabad in the Indian Premier League. Corey Anderson top-scored with an unbeaten 41 off 24 balls as Daredevils comfortably reached 189-4 in 19.1 overs with all the top-six home team batsmen among the runs. 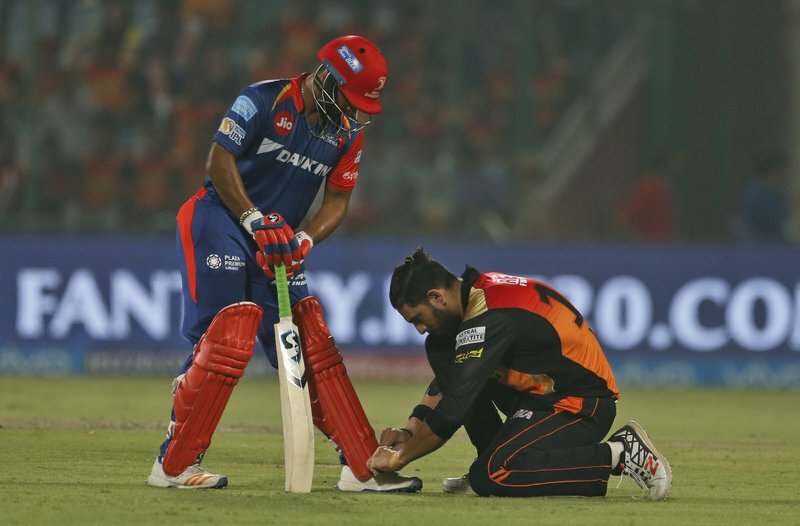 Sunrisers owed their 185-3 total to Yuvraj Singh's risky 70 not out off 41 balls with 11 fours and a six after Daredevils won the toss and opted to field. Sunrisers captain David Warner (30) and Shikhar Dhawan (28) provided a rapid start of 53 off 32 balls before seamer Mohammed Shami (2-36) claimed the wickets of Warner and Kane Williamson (24). Yuvraj should have been dismissed on 29 but Sanju Samson missed a sitter at midwicket boundary in the 17th over, much to the disappointment of seamer Chris Morris with Sunrisers' total at 129-3. 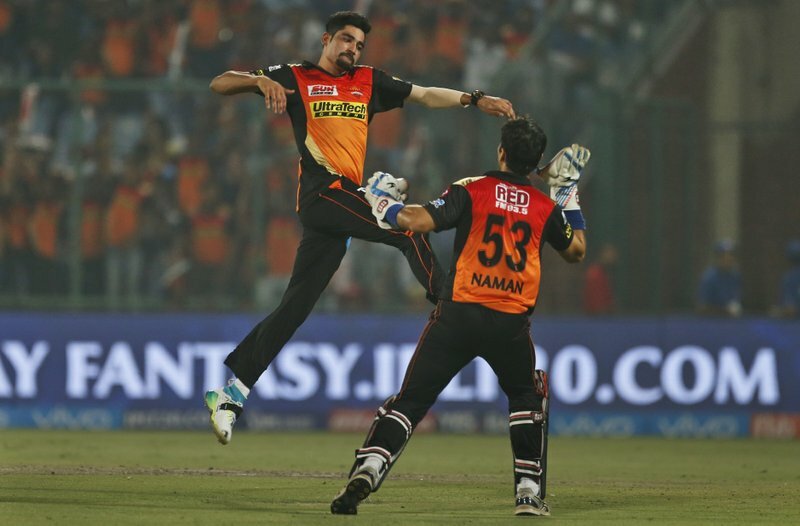 Left-hander Yuvraj cut loose from then on as Sunrisers struck 52 runs in the last three overs with South African fast bowler Kagiso Rabada (0-59) smashed for 39 runs in his last two overs. "I think if we had caught that catch (of Yuvraj) they wouldn't have got that far," said Daredevils' stand-in captain Karun Nair, who led the side in the absence of injured regular captain Zaheer Khan. "We told ourselves, we are a young team, and we should play like a young team. Go out there, play without fear." Nair (39), Rishabh Pant (34) and Shreyas Iyer (33) all made useful contributions in the run chase before Anderson hit two fours and three sixes and carried the team home. "The wicket sort of held up a little bit, early on, and we thought 186 was a tough target," Warner said. "They played really well to win it. Unreal." 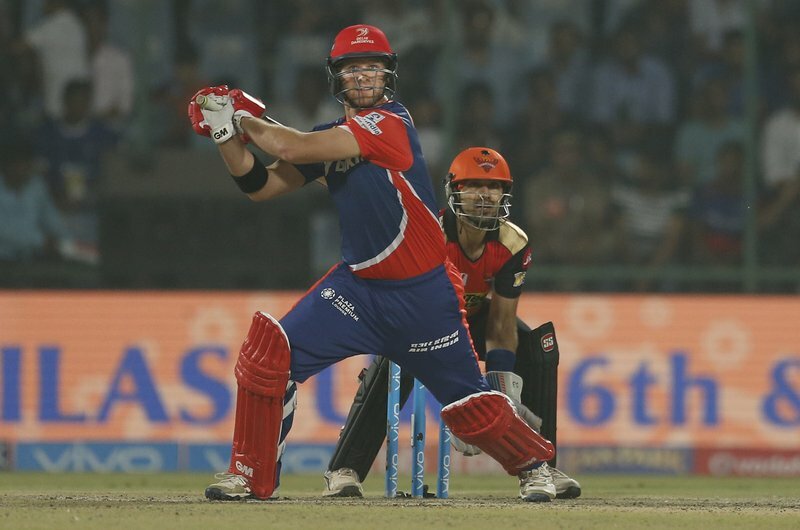 Delhi Daredevils' batsman Corey Anderson plays a shot during their Indian Premier League (IPL) cricket match against Sunrisers Hyderabad in New Delhi, India, Tuesday, May 2, 2017. 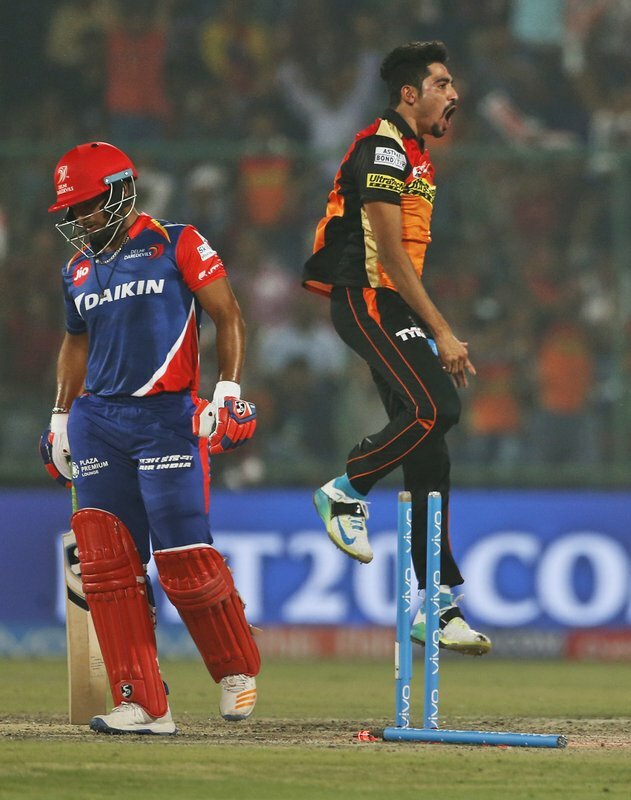 Sunrisers Hyderabad's bowler Mohammed Siraj, right, leaps in air as he celebrates the wicket of Delhi Daredevils' batsman Rishabh Pant during their Indian Premier League (IPL) cricket match in New Delhi, India, Tuesday, May 2, 2017. 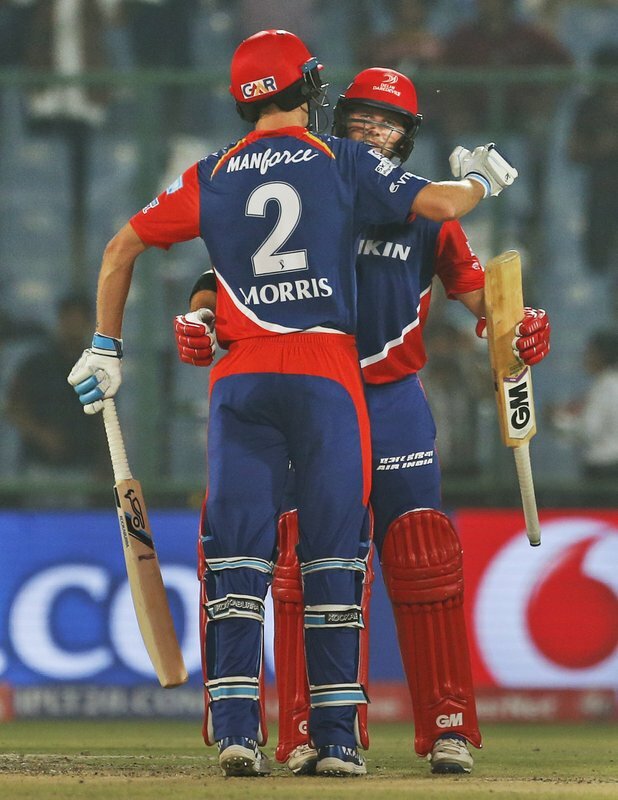 Delhi Daredevils' batsman Corey Anderson, rear, and his teammate Chris Morris embrace each other after winning their Indian Premier League (IPL) cricket match against Sunrisers Hyderabad in New Delhi, India, Tuesday, May 2, 2017.